Beer Trivia Returns - Bigger & Better Than Ever! 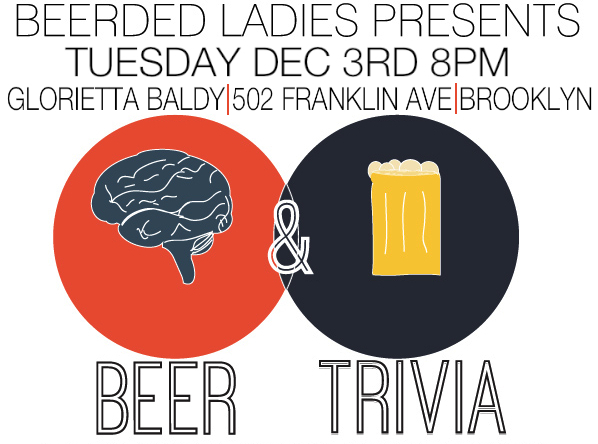 Beer Geek Trivia Night returns, now hosted at the fantastic & brand new Brooklyn craft beer hot spot, Glorietta Baldy! Grab your brainiac buddies and join us for another round of the good stuff, including tap specials by local fellas Singlecut Beersmiths & lots of rad prizes. Cheers, nerds! $4 Singlecut Beersmiths drafts all night! Prizes from Bitter & Esters, Feminist Playing Cards & Singlecut.